Hannah Ruby Church (nee Cowan) of Lacombe, Alberta passed away peacefully at the age of 91 years on December 20, 2017 at Royal Oak Village. She was born March 8, 1926 at Gadsby, Alberta to Sarah and George Cowan. Hannah Ruby attended the Rosebank School until Grade 9 when she left to help in her mother’s recovery from illness. Hannah was a natural caregiver as was evident in her work life. She married Lawrence Eugene Church on August 2, 1951. They were blessed with five children: twins Marvin and Marlene, Sam, Gordon and Sylvia. The family farmed near Nevis until moving to Stettler in 1972. She moved again in 1994 to Lacombe, where she resided until her passing. At a young age she made a choice to follow Jesus, she kept true to that choice until the time of her passing. 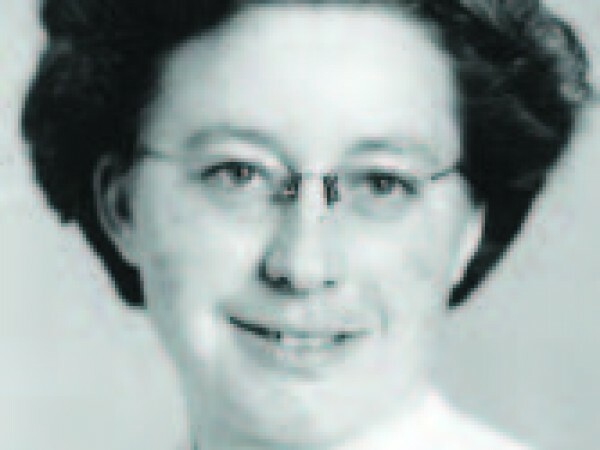 Hannah Ruby is survived by her children: Marvin (Lora Lea) Church, Marlene (Gordon) Paisley, Sam (Shirley) Church, Gordon (Dulce) Church and Sylvia (Marcel) Gauthier; ten grandchildren and eight great-grandchildren; brothers: Grenald, John, Irvin (Norma) and Percy (Carol); sisters-in-law: Emmy Cowan and Frances Cowan; numerous nieces, nephews, cousins and other family and friends. Hannah Ruby was predeceased by husband Lawrence Eugene; parents; sister Berta (Tom) Taylor; brothers: Alex (Gladys), Ken, Alvin, Clifford and Leonard; sisters-in-law Jean and Harriet; in-laws: Marge (Percy) Bender, Laura (Carl) Olsen, Jack (Margaret) Church, Bob (Olive) Church, Bert McBride and Gladys (Bruce) Johnstone. A funeral service for the late Hannah Ruby Church was held on Wednesday, December 27, 2017 at 1:00 p.m. at the Stettler Funeral Home, Stettler, Alberta.